Department of Physics was established in the year 2000 with qualified faculty members. The institution introduced the under graduate course in Physics in the year 2005. The department has excellent laboratory and library facilities with leading journals. 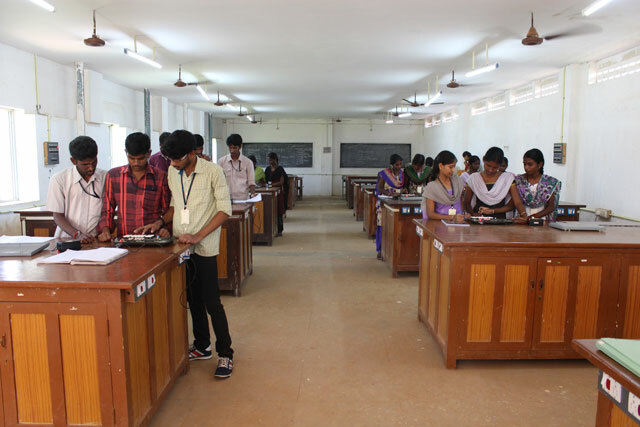 The vision of the department is to impart scientific temper among the students. A team of well experienced highly motivated faculty members are working with proven excellence in teaching and carrying forward the motto of the institution. The department conducts various seminar, exhibition and workshops. The department mounts an active program to develop and maintain connections outside the institution. The department conducts various student development programme in association with renowned excellence. The department has been doing great service to the student community. To enable the students to be aware of their inner potential and cultivate creativity and initiative as well as innovative thinking among students by proactive academic activities and research. A pass in HSC with Physics as one of the subject.